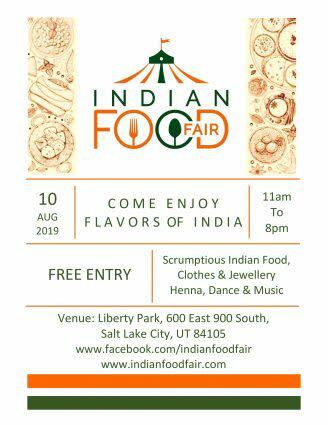 After your overwhelming love and response last year, we are back with our second annual Indian Food Fair. Thank you for making us one of Salt Lake City’s favorite food events.This year, we will have more food vendors serving scrumptious varieties of food all day! Yes! we have heard our fans and will be open for both lunch and dinner service. 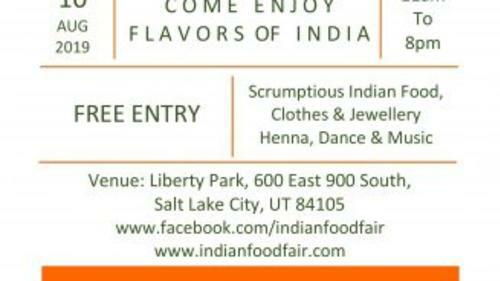 Come by to experience even more entertainment, live shows, Indian arts, crafts, clothes, jewelry and fun for everyone.Please join us as we announce the Indian Food Fair 2019.The admission to the event is FREE!If you are looking to be a food, crafts or informational vendor, visit us at https://www.indianfoodfair.com/vendor/.